Whether it's a short vacation or a longer excursion, preparing for a trip abroad can be a stressful experience, even for experienced travelers. Organizing flights, accommodations, packing, getting to the airport, and making sure everything at home is sorted for while you're away can easily frazzle the nerves. Because of this, the last thing you want to have on your mind is whether or not your destination is a safe place to visit. What constitutes a safe country is clearly a contentious and subjective question, and there's no definitive way to determine it. Different countries have their own methods to measure crime, and of course, threat levels are constantly changing. Currently, there are 45 countries that the U.S. Department of State has issued travel warnings for and there's even a Worldwide Caution in place. The good news is that by many measures, the U.S. actually ranks quite poorly, meaning that by leaving the country, you're likely to be heading somewhere already considered safer. However, choosing a destination that's considered "safe" can still be tricky. 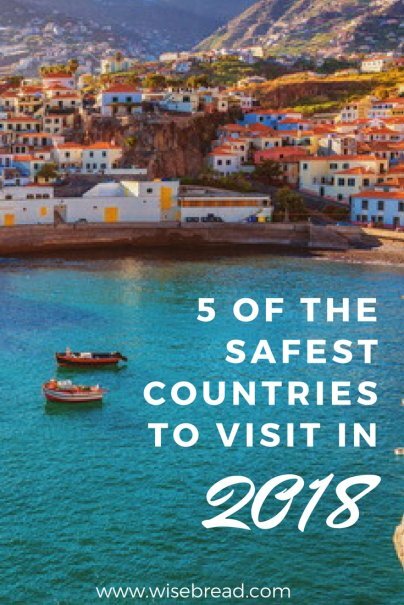 Here are five of the safest countries to travel to in 2018, based on current crime rates and existing security alerts. *All statistics are taken from the U.S. Department of State and the Institute for Economics and Peace's 2017 Global Peace Index report's Societal Safety And Security Domain section. 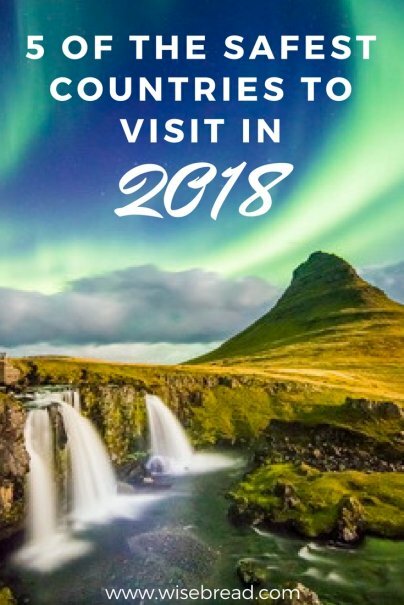 Iceland's popularity has skyrocketed over the past decade with visitor levels rising from around 422,000 annually in 2006 to over 1.7 million in 2016. 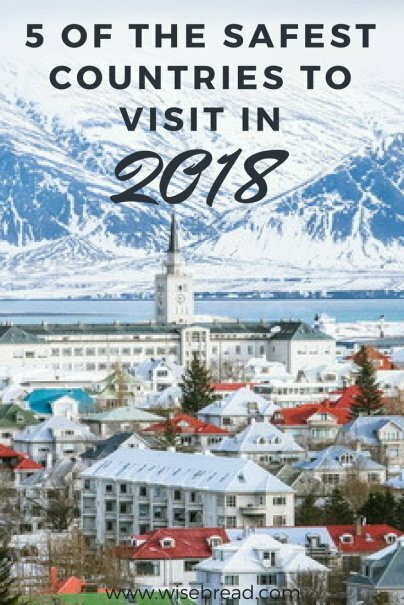 This is thanks largely to a concerted effort by tourism authorities to increase visitor numbers, as well as Icelandic airlines offering affordable transatlantic stopover options. 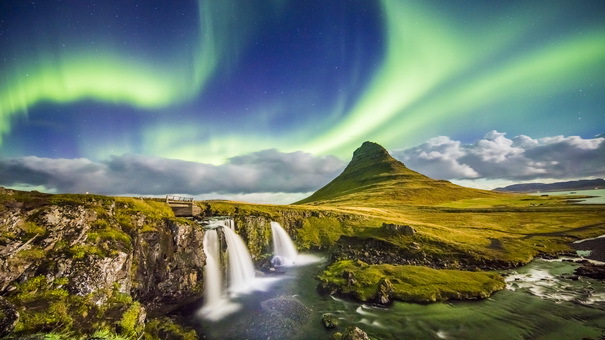 As a result, the gorgeous landscapes, giant volcanoes, natural hot springs, spurting geysers, and vast glaciers, plus the likelihood of witnessing the magical Northern Lights have made Iceland extremely popular. This stunning Scandinavian country nestled in between Norway and Finland celebrates the outdoors in a big way. Its vast natural landscapes are decorated with huge lakes, fast-flowing rivers, and gigantic glaciers, as well as forests, sandy beaches, and hundreds of coastal islets. The country's wide reaching Freedom to Roam laws mean that every citizen has the opportunity to take full advantage of them. 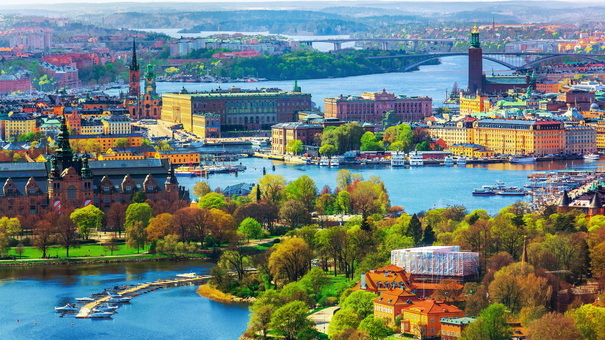 It also has a number of charming, colorful cities packed with culture and history such as Stockholm, Malmo, and Gothenburg. Sweden is rated fifth on the Global Peace Index table, making it one of the safest countries to visit. Though it has extremely low levels of crime, OSAC's 2017 Sweden report claims that the national averages are bolstered by low rates outside of the urban areas. It does, however, concede that, "The general crime rate in Sweden is below the U.S. national average," and there are no Department of State warnings at this current time. 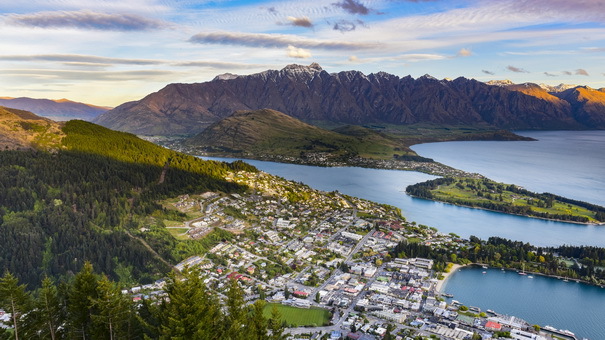 Spread across two main land masses known as the North and the South islands, New Zealand, and more specifically Queenstown, is often referred to as the "adventure capital of the world." It's where the first commercial bungee jump was born, is a popular site for paragliding, sky diving, and hang gliding, and you can also enjoy extreme water sports like jet boating. But it's not all pulse-raising activities; New Zealand is also considered a place to escape into nature and enjoy the widespread wildlife. This country of two halves lands at number two on the Global Peace Index report as the first of only two countries outside Europe to appear in the top 10. 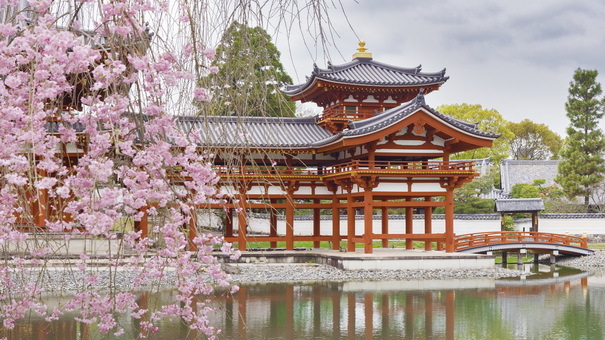 There are no Department of State warnings on New Zealand and the OSAC 2017 New Zealand report says, "In general, crime is less prevalent in New Zealand than in major cities in the U.S."
Made up of hundreds of volcanic islands, Japan is well known for its diverse natural landscapes and its modern cities. Deeply rooted, centuries-old tradition sits seamlessly alongside contemporary cutting edge technology, and this unique combination of ancient and current can be seen in everything from the culinary scene to the architecture. Futuristic robot shows are as popular as wilderness hikes in national parks, and up-to-the-minute technology is as revered as the many temples and shrines. As the other non-European entrant on the Global Peace Index, Japan appears at number 10 on the list. For a country of its size and stature, the crime rates are remarkably low, particularly for murder and gun crime, which some reports suggest has been virtually eradicated. With no travel alerts or warnings, it's certainly one of the safest options for 2018. 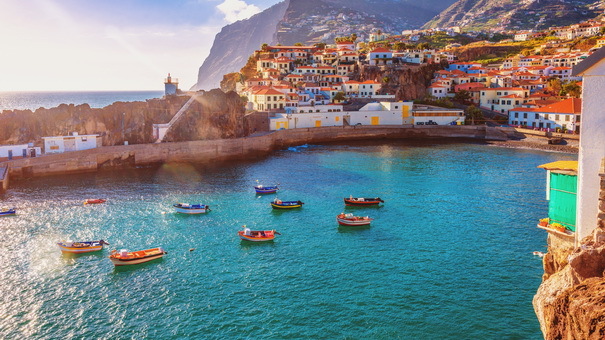 Located in the southeast corner of Europe, Portugal has long been a popular tourist destination, thanks to its warm climate and diverse culture. In its role as one of the most prominent sea faring nations, Portugal built up a vast global empire. Historic cities, bountiful beaches, and fine food and wine are what attract the majority of visitors to this fascinating country.